Did that Gandalf figure really have an owl? I don’t know, didn’t really care much for that fantasy story. 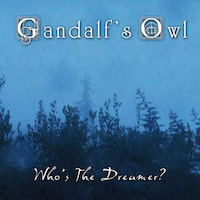 The cover of the debut album of Gandolfo Ferro’s one-man project is called Who’s the Dreamer? and it features a fairly dreamy cover, I would even suggest that it is quite interesting. This debut album is the second thing released by Gandalf’s Owl, an EP saw the light of day back in 2016, and Gandolfo has been heard in Heimdall, a band we reviewed a few years back. This is however a fair bit different compared with Heimdall so you may not want to use that band as your only reference for how this sounds. It is ambient progressive rock music according to the press material that accompanied this album and that isn’t a too shabby description. 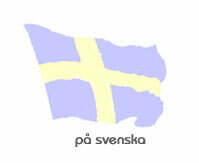 It is ambient and a bit progressive, with some psychedelic influences and some influences of electronica. The tempo is quite low through the album and there are no real power or energy, it seems as though it is more about the atmosphere than about the songs. The album isn’t very dynamic and it isn’t very varied, the vocals are quite anonymous and the sense is that the album is more instrumental than anything with vocals. I think that the album is long, very long with a 48 minute playing time, I am sure they could have removed some of the parts where nothing happen to make it an album that is more to the point and less tiresome to play through. Not quite the interesting album that one could have hoped for, this album is somewhat boring, a bit tired and what is most annoying is probably that I have a very hard time staying awake when listening to this album. That, my friend, is not a good way to write a review. So, I think this could have been a lot better, there is potential for that but it is unrealised potential at this moment. This album would probably have benefitted from having someone for Mr Gandolfo to bounce ideas with, I think he would have needed someone to challenge him when he wrote the songs. This album feels less challenging and less interesting than much of what is being released these days. There are some excellent moments throughout this album, parts where it is really enjoyable. But there are also moments where it is more boring than most things I can imagine, it is an album that feels more centred around the atmospheres than around strong tracks. The album lacks standout tracks and feels most like a grey and lightly foggy winter day, just something you want to get away from. It isn’t an album that grabs the attention of myself and I find myself not really paying attention to the album and then suddenly it ends without me really noticing, I just sit in the silence for hours before realising that the album ended long ago. Usually it is easy to choose between music and silence but that is not the case with this album, I think I mostly prefer silence to listening to this album.